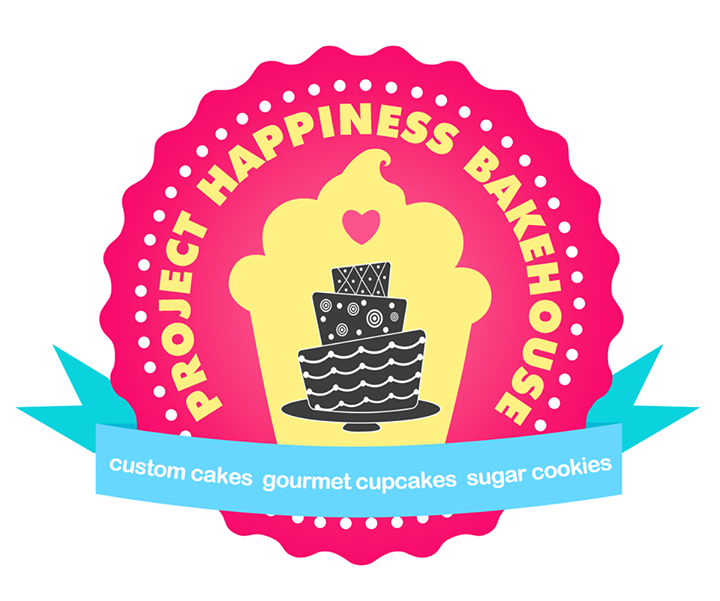 Project Happiness Bakehouse specializes in custom-made celebration cakes for all occasions and dessert buffets. 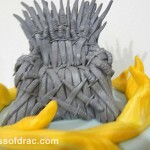 One thing that I like the most with their cakes is the fondant decorations. 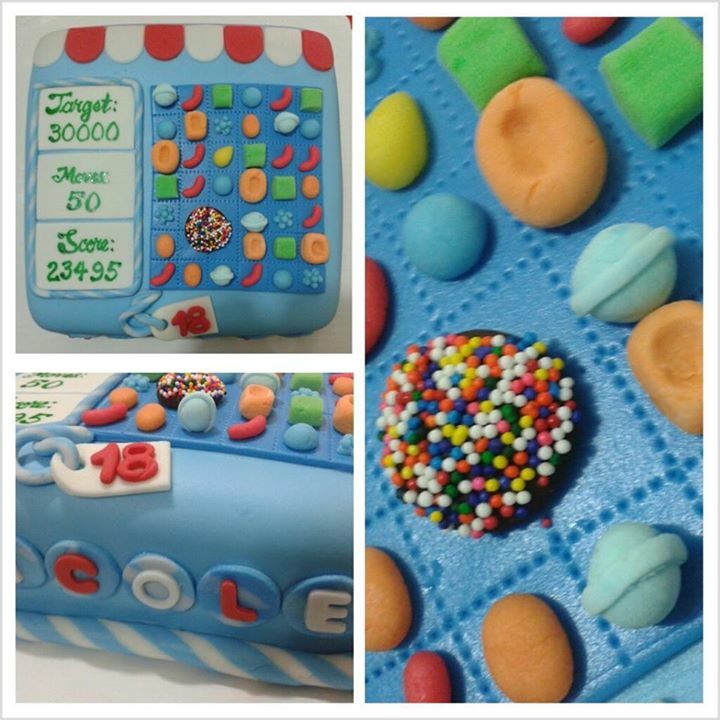 Their Candy Crush themed fondant cake is really cool. 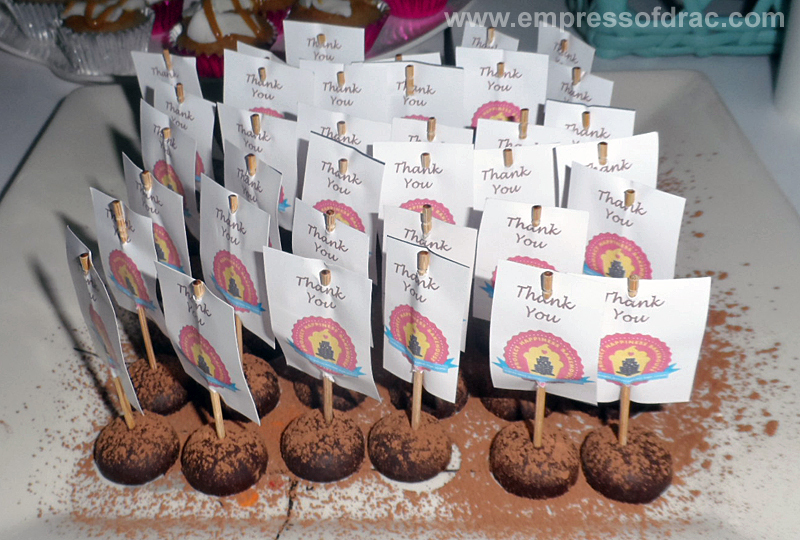 I haven’t bought a fondant cake from them yet but I had the chance to taste a few of their creations during their launching and tasting activity last Saturday. Below are a few of my favorite ones. I’m not sure if that’s the actual name but I’m quite sure that’s how it should be described. 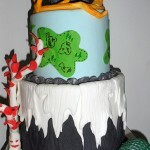 This is another of their creation that I really, really love. 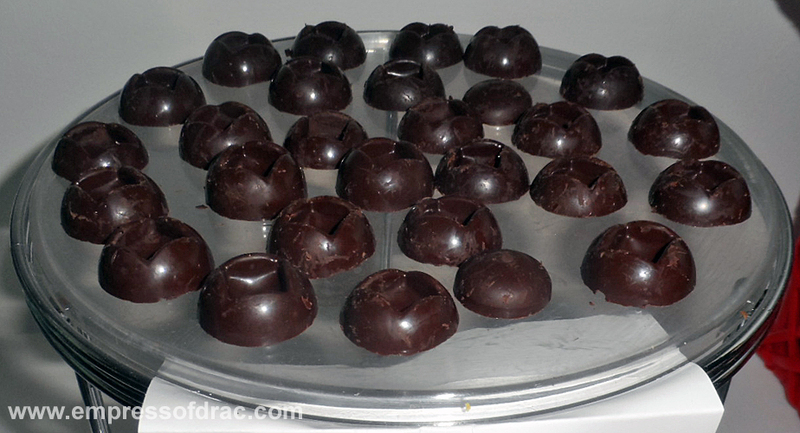 I hope I can afford to hoard these yummies. Lols! 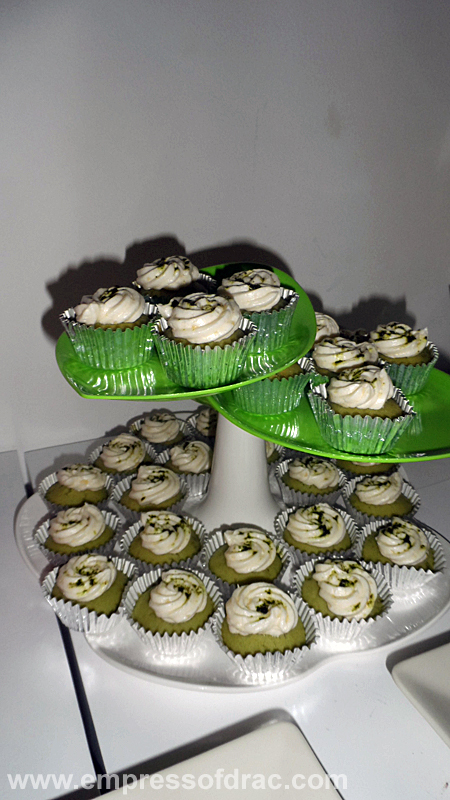 These mini cup cakes are definitely yummy. I don’t really expect that they are that good. The raves from their customers in Facebook are definitely true. 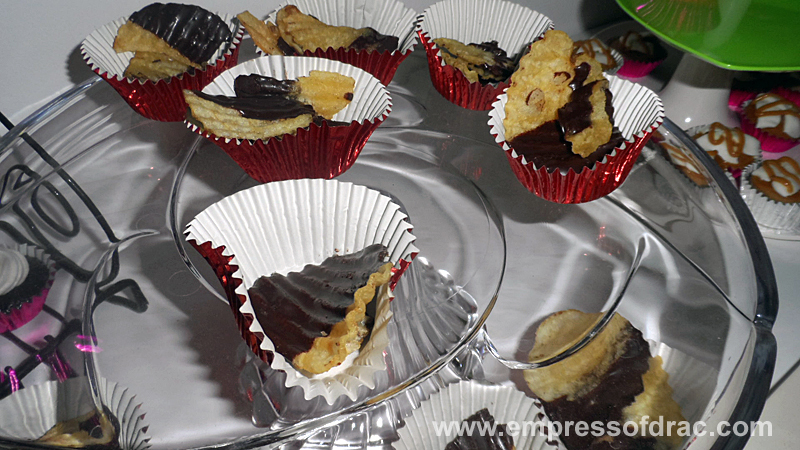 More photos of their baked creations that I took last Saturday. 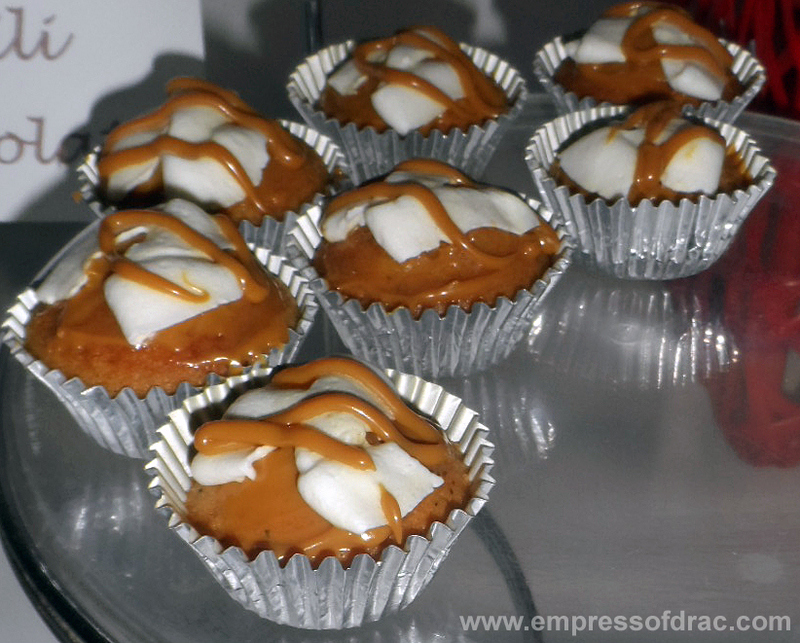 To see the rest of the baked creations, click here. 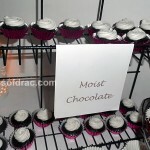 The pricing for each cake or baked goodies depends on the quantity of the customer’s order. 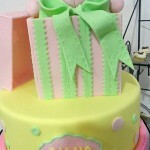 A fondant cake (the size and decoration like of that one in the gallery above) is priced around Php5,000 to Php6,000. More information about their pricing here. 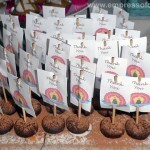 You may just fill up this order form or you can directly call/text PH Bakehouse through this # 0927.861.5008. If you are more comfortable via email, contact them at phbakehouse@gmail.com, or if you are in Facebook, just send them a PM. Iris and Marcel do their best to reply within 24 hours. Oops, I almost forgot. 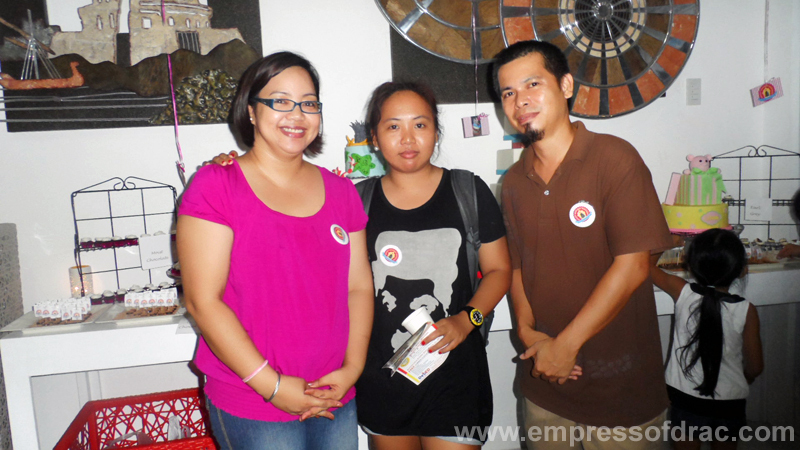 With me are Iris and Marcel Pulga during the launching of Project Happiness Bakehouse last November 8. That was actually the first time I met Iris in person. We used to be online co-workers before, and we chatted a lot in Skype. Nice meeting you, ris. Congrats in opening your very own bakehouse.